Say "Thank You" with an award-winning Miss Grace Lemon Cake. Each mini cake is handmade using fresh squeezed California lemons and fresh-grated zest, then dipped in our secret formula lemon glaze to give it the moist and delicious taste that has made it a true sensation. 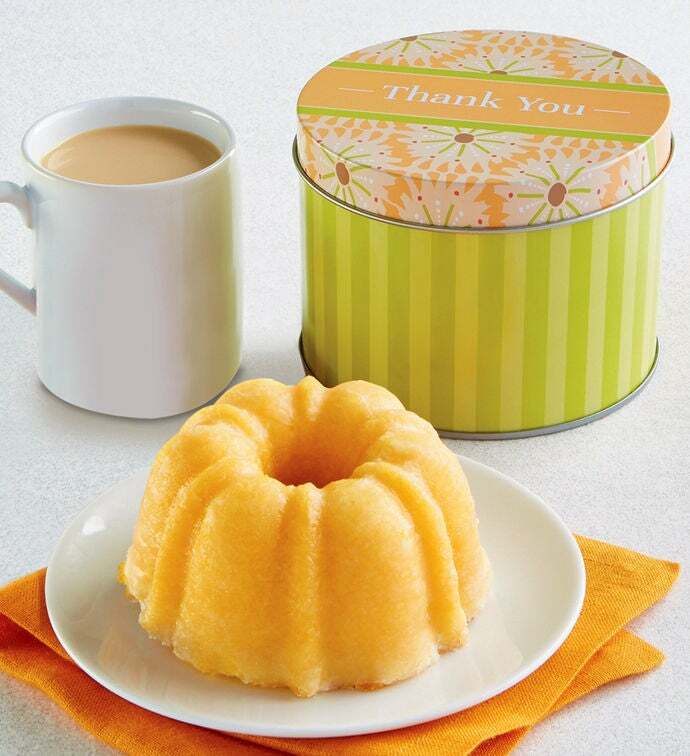 Each cake is carefully packaged and delivered in a delightful thank you gift tin. Gift includes: 1 Miss Grace lemon cake and 1 gift tin. OU D.
Our mini cakes ship via US Postal Service so please allow a little additional transit time. Item can only be shipped within the continental United States and cannot be shipped to PO/APO/FPO boxes.